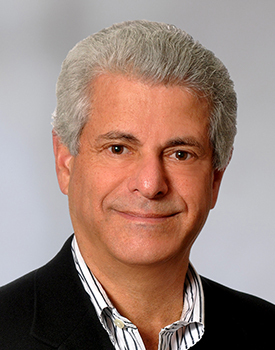 Frank Zaid is a mediator and arbitrator with ADR Chambers, specializing in resolving domestic and international franchise disputes, as well as intellectual property and commercial disputes. Frank has 40 years of experience in business law with an emphasis on franchising, licensing, intellectual property, marketing and distribution law. His involvement with over 400 franchise systems required expertise in many diverse areas of corporate and commercial law. He has authored or co-authored many books and publications in Canada and internationally, including: Canadian Franchise Guide; Essentials of Canadian Law – Franchise Law; American Bar Association Forum on Franchising Fundamentals of Franchising – Canada; and International Franchising (Chapter on Hotels). He has written and spoken on franchise, competition and intellectual property matters at various conferences and seminars around the world, and has appeared on a number of webinars, television and radio programs. After graduating with a B.A.Sc. (Chemical Engineering) at the University of Toronto, Frank earned his LL.B. (Honours) at Osgoode Hall Law School and was called to the Ontario Bar in 1973. He was a senior partner and member of the executive committee at Osler, Hoskin & Harcourt LLP and retired from active practice at the end of 2011. Frank has been involved in the franchise community in many different capacities. The Canadian Franchise Association honoured Frank with its initial Lifetime Achievement Award. He served as Co-Chair of the Uniform Law Conference of Canada Commercial Law Strategy project on a uniform franchise law. Frank was the first Chair of the Ontario Bar Association Franchise Law Section and Chair of the International Franchise Association Supplier Forum. He served as General Counsel for the Canadian Franchise Association and has been on the Executive Committee and Board of Directors of both the International Franchise Association and the Canadian Franchise Association. Frank has been recognized as a leading franchise lawyer in the Canadian Legal Lexpert Directory, the Lexpert/American Lawyer Guide to the Leading 500 Lawyers in Canada, the International Who’s Who of Franchise Lawyers, Who’s Who: Canada, Best Lawyers in Canada, and the Franchise Times Legal Eagles. For several years he was voted by his peers as the most frequently recommended franchise lawyer in Canada. He has acquired unique business experience as a director of several leading franchise companies in Canada and has been retained as an expert witness in a number of franchise and distribution cases. Since his retirement Frank has also been active as a franchise business consultant, mainly with start-up and emerging companies. He has completed ADR and Advanced ADR training through the Stitt Feld Handy Group.